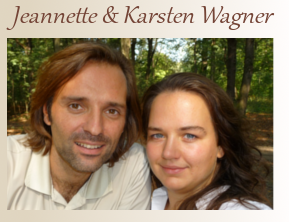 We are Jeannette Wagner and Karsten "Raul Falco" Wagner. Currently we live and work in Chemnitz (Germany). Our family also includes two children and a dog. In our curiosity and the urge for knowledge, we kept asking ourselves the following questions: Why do we feel so comfortable in nature? Why do we feel some forms visually beautiful and other forms not? How does it feel to be taught as in Buddhism, to reach a state where you feel connected to everything? Subjects such as resonance, oscillation fields and the harmonious patterns of nature suddenly came to our notice and everything together was bundled in the term "sacred geometry" translated as: Holistic measure of the earth. In other words, how does nature produce life - according to which regularities and structures life unfolds. 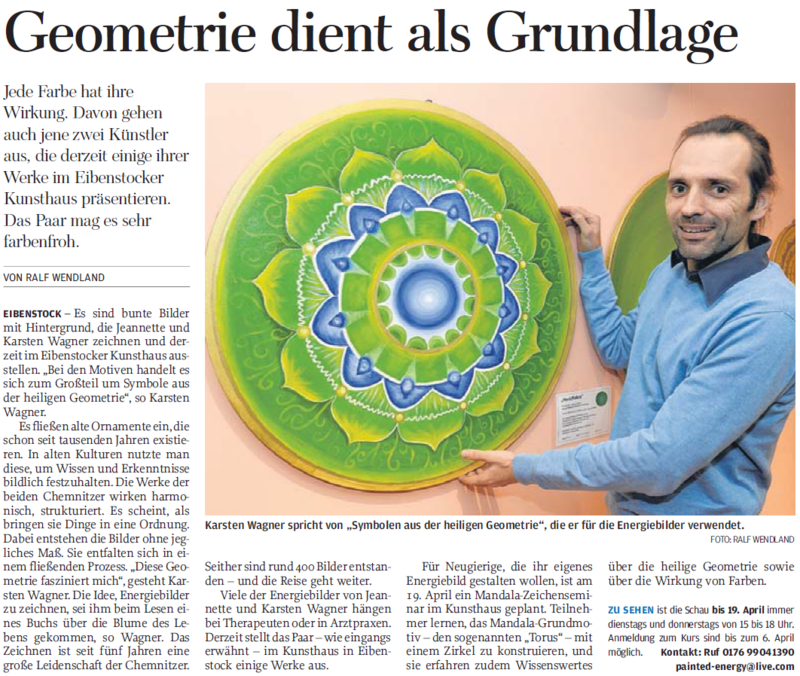 The fascination with these geometries brought us to construct and draw - in 2009 we learned to construct the symbols with compass and in the beginning of 2010 we began to create the right energy pictures. Right from the beginning, we already felt the power of the colors and the effect of the symbols - they all work: harmonizing, holistic, organizing / structuring and are extremely powerful. At that time, we were able to give each of us his own personal image of power along the way. We continued to develop and while Jeannette completed a Feng Shui training and Karsten a Shamanic training (2012), we realized that all elements must work together to create harmony. It's the same with every one of us. In us, all elements must be lived to reach a harmonious state. After the order has been made, we will always produce each energy picture individually for the person or persons who ordered it! There is also the possibility of individual color and symbolic advice on request. After this detailed color and symbol consultation and considering the function of the room, we produce the energy picture according to your ideas and wishes. We work with wonderfully powerful acrylic paints, possibly 24ct gold leaf if needed and a compass. Without the use of templates or templates, we construct each symbol individually - so individual wishes are always possible! Canvas sizes up to 1.50 m as well as wood and wall painting up to 2.50 m. As a tool to paint and draw we use only pencil, compass, ruler, brush and acrylic paints. 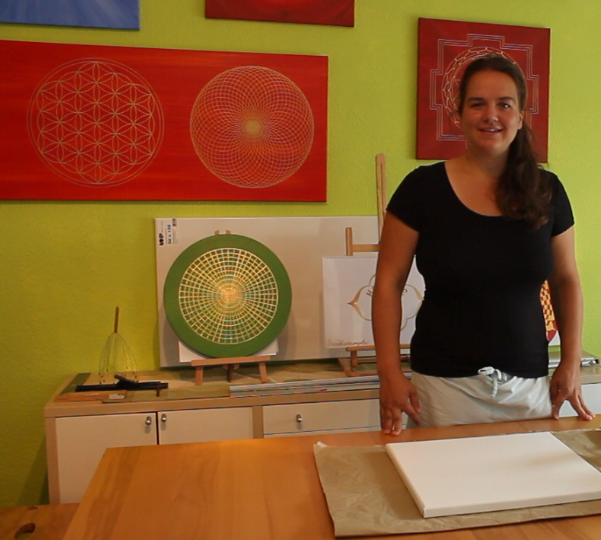 We construct each of our pictures according to the specifications of sacred geometry! This means we do not measure anything, but everything is based on specific procedures. This makes every picture unique and something very special. You can see an overview of our previous projects under References on the website Harmonie in der Ganz, or on this website under customer opinions. Above all in physiotherapeutic practices, with non-medical practitioners, in the wellness area or with doctors in Chemnitz and environment one can visit pictures of us. The sale of our Paintings takes place via our online shop. You can reach us at: Tel. 0049 371 23 451 305 or write an e-mail to: contact@spiritual-wall-art.com. Here you can see an article from our press about us, an our work. Sorry is only in German :-). 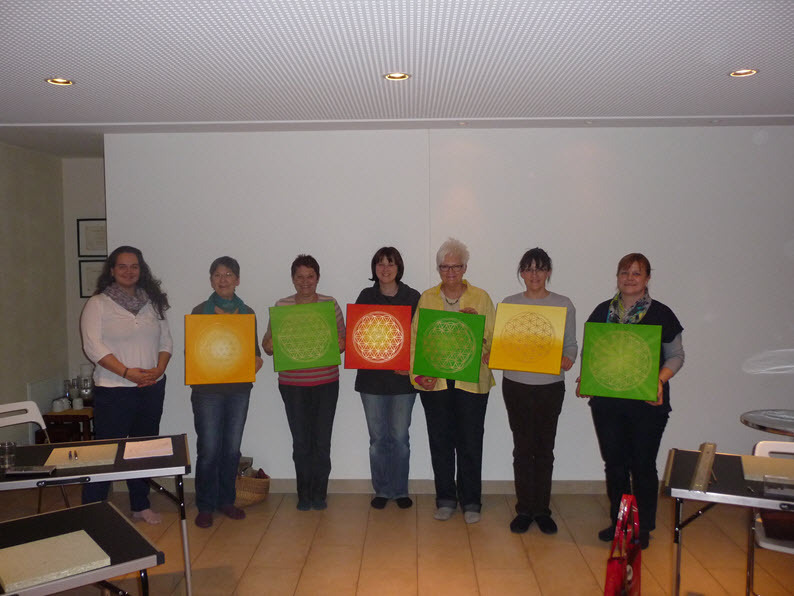 We gladly pass on our experience and knowledge in our topic-specific sign seminars, which we offer throughout Germany. Here you learn to shape your own energy picture. Here era some examples from our Live Workshops. Do you wish a consultation regarding your house or apartment, we can also help you. We see if everything in the harmonious flow is in your premises. Since the personality of each individual plays a major role, we also consider this when we analyze the spaces. 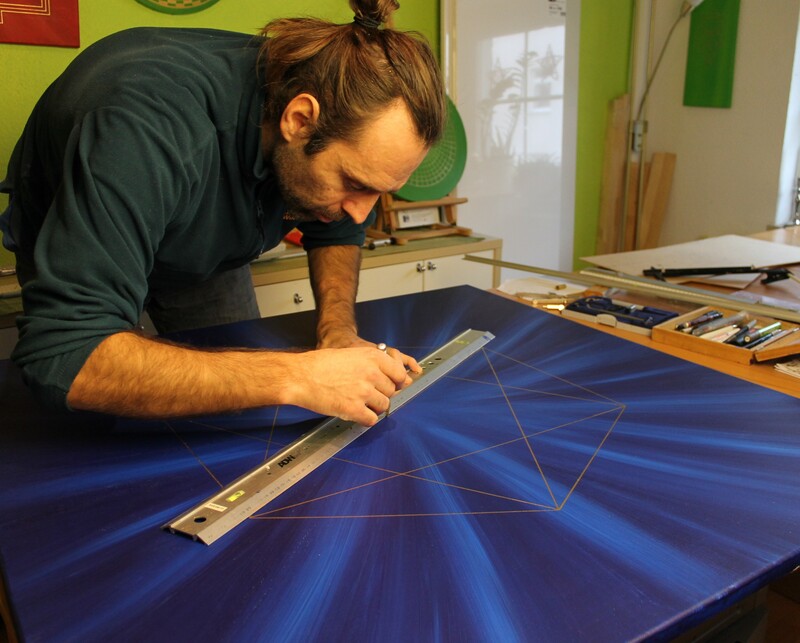 Our 24-carat gold pictures are a real eye-catcher, the gold leaf is applied to the canvas with a very special process. These images certainly have their value, but they are in their effect and beauty something very special. Would you like to contact us now for a consultation or information then call us on 0049 371 23 451 305, or write an email to contact@spiritual-wall-art.com.